John Hayes Walks: Munich to Venice - what's the Traumpfad route like? Munich to Venice - what's the Traumpfad route like? There is more to the Traumpfad than a north-south traverse of the Alps, but the mountains cannot help but dominate the experience. The whole trip will take most walkers 30 days to complete and it only takes two and half, walking alongside the River Isar, to get from Munich to the mountains. You are then in the Alps for the next 20 consecutive days (depending on the choices you make about how you stage your journey). When you emerge you follow the River Piave and it takes another five days of flat walking to get to Venice. 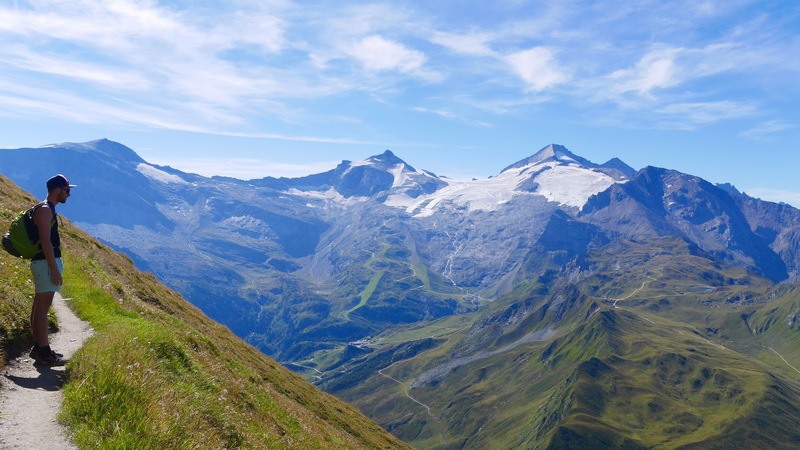 It's a brilliant walk and takes in some of the best scenery in the Alps. The scenic fireworks start to go off on days three and four with the climb up into the Benediktenwand 'pre-alps' with its amazing ridge walk, and again on days five, six and seven, on the journey from Germany into Austria through the Karwendel with a climb up its highest mountain the Birkkarspitz. Without time to draw breath days eight to twelve cross the Alpine core heading into Italy with an amazing journey through the Tux and Zillertal Alps. Yet more rockets explode as the route traverses the Dolomites, arguably the most beautiful mountains in the world, with days 14 to 23 spent crossing the Puez and the Sella groups, walking alongside the famous north face of the Marmolada, and finish with the Civetta (including its enormous west wall) and the Schiara group. The Traumpfad was the idea of a German, Ludwig Grassler, who after several false starts, walked it for the first time in 1974. His German language guide was published three years later. An Alpinist himself, he was careful to construct a route that was both direct and spectacular. He succeeded and, like Wainwright's famous 'coast-to-coast (across northern England), one man's vision captured many thousands of imaginations. Most of Ludwig's journey follows existing routes, some of which (like the Alta Via 1 and 2 across the Dolomites) are famous in their own right. Although there is no designated 'Munich to Venice' footpath - no specific set of waymarks signposting the route - it is easy to follow and, because it's more popular than many designated routes, it is well supported by the locals.